Australia has a rich history of competing in sports for well over a century, famous males that make the competition so exciting and enjoyable to watch. Some of the best Australian male athletes in the world of whom have represented Australia in the Olympics are included in the listing. Follow the link to read up on the names of these talented male athletes of Australia in order to get more information about each one such as their birthday & birthplace… Aussie Aussie Aussie – Oi Oi Oi. a large brown snake became an extra body on the ground to cause havoc at a North Adelaide SANFL game – but this time there was no need for a tribunal hearing. The dangerously evasive recruit forced play to halt in the second quarter of the trial game between South Adelaide and the reigning premier Roosters at Noarlunga Oval after a boundary umpire saw it sneak into the forward pocket at the southern end of the ground. As the players quickly parted, the large brown snake slithered across the ground and officials decided to take the halftime break a bit earlier than the timekeepers had planned as they called in the services of a snake catcher. South Adelaide chief executive Neill Sharpe said it didn’t take long for the players to react when the venomous intruder started making its way across Noarlunga Oval. “The boundary umpire noticed it and then the players noticed it and it was right on halftime, so we decided to go in (to the rooms),” Sharpe said. 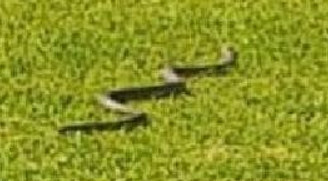 “It made its way across the oval and by that time we had called the snake catcher and they came and grabbed it. “The girl who turned up to grab the snake just jumped out of the car, picked it up by the tail and put it in a bag and it was all done. “The players couldn’t quite believe it and nobody was too keen to go near it. Back in the old days, riding a bike usually meant lumbering along on a machine with no gears, a basket hanging off the front of the handlebars, and a playing card or two taped to the spokes to produce that cool motorcycle effect. Nowadays, there’s a whole new breed of bikes available to suit practically every situation and terrain you’re ever likely want to tackle. You have the choice of touring bikes, mountain bikes, road bikes and specialized track racing bikes – to name just a few of the varieties available. So if you haven’t ventured out for a spin on two wheels since Santa brought you a bike for Christmas, maybe it’s time to give it a go. Cycling is empowering. Pedalling along a country road or along a city bike trail rouses your spirit and awakens your senses. And it’s difficult to hate those thighs as you joyfully roll up the driveway after conquering a challenging ride.You’ll find cycling is as gentle on your body as any physical activity can possibly be. There’s a saying in sports medicine circles: Even if you can’t run, walk, hobble or hop, you can ride a bike. Simply because cycling isn’t a weight-bearing exercise, it’s super easy on your joints – even the troublesome achy ones. It can be a wonderful, pain-free way to exercise and lose that unwanted weight. 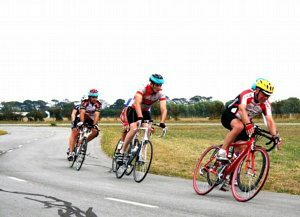 In fact, you can easily burn around 500 calories on just an hour-long ride! So whether you’re looking to ride for fitness, weight loss, or to simply get away from it all, why not contact a local cycling group and enjoy life on a bike with a bunch of new friends. 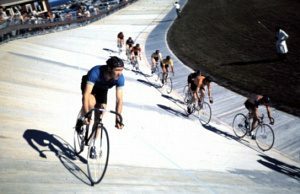 Having won the Wellington provincial 100 Mile Road Championship in 1976 and selected to represent Wellington for many years at National Championships, Olympic & Commonwealth Games trials, Bob made the move with his family across to Melbourne in 1978 to further both his cycling opportunities and those of his young family who were about to commence their schooling. 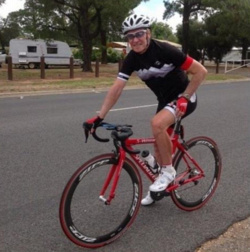 Now, having won more than sixty Club, State and National Championship medals including seven Australian National Championship Titles over both Road and Criterium disciplines in mature age veteran competition, Bob Lewis still enjoys nothing more than getting out on his bike with his cycling mates. As a member of the Eastern Veteran Cycling Club as well as a founding member of the Warby Ghostriders group who regularly cycle the Warburton Rail Trail and the many fine city trails around Melbourne, Bob is always happy to pass on his cycling knowledge and riding tips to anyone thinking of taking up cycling to improve their health and at the same time enlarge their circle of friends. Bob won the 2018 Aust Vet national championship.